Anybody who knows me, knows that I am Uptown Philly ALL DAY! But even with cats knowing that, I've gotten the side eye (and still do) from some of my Philly brethren going all of the way back to my days at Morgan State cause I hung around a rack of folk from New York or cats said I dressed and talked like I was from New York or the latest complaint about me is that I'm ALWAYS wearing a yankees fitted (for the record I don't even like the yanks but a yankees fitted is uniform to me) but what most folk don't know about me is that I spent every summer from 1st-9th grade in Ft. Greene, Brooklyn so BK has ALWAYS been my 2nd home but it's just that, my 2nd home. Philly will ALWAYS come and be first. So why am I on my Philly jawn today? 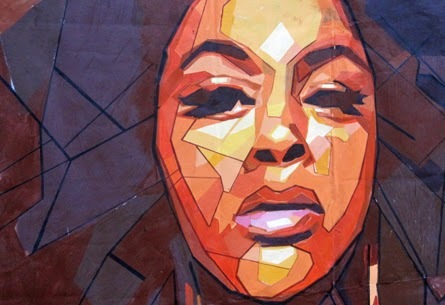 Simply because I'm biggin' up the artist I feel has repped my city to the fullest since day one which is Ms. Jill Scott. Now, I know most cats are like "what...no love for the Roots?" And trust me, I've got NOTHING but love for the Roots but when I hear Jill Scott...I hear Philly. Now, when I hear Thought, I don't necessarily hear Philly...make sense? Naw? Well, look at it like this, when I first heard Jill's "Getting In the Way" I didn't need for her to say sumthin' about Philly or name her album "The Illadelph Chronicles" for me to know she was from the crib. With her simple line "queens shouldn't swing, if you know what I mean/I'm about to take this earrings off and get me some vaseline" I KNEW shorty was from Philly cause I've seen TOO many chicks at the crib be about to rumble but before it went down, there was always that pre fight timeout to get that vaseline on. And I'm sure chicks from every hood around the world used vaseline before a fight but has any female MC or singer ever sang or rapped about it? Nope. In fact, Jill's entire first album literally SCREAMS Philly from beginning to end and I can't tell you how proud I am of that album still 14 years later. Now, of course Ms. Scot suffers from the Nasir Disorder which is your debut album is your best album and people are always waiting for you to top it, which you simply can't do. (I mean, does anyone honestly think Jill is gonna write a better song then "Is It The Way" or "Lyzel In E Flat?") But the one thing Nas taught me is that you can miss out on a lot of dope music from that artist cause you're still waiting on that "illmatic feeling" again. And if by chance you've been doing that with Jilly from Philly, I beseech you (see ya'll got me on my biblical jawn when it comes to Jill) to stop sleeping on all of the other dope music she's dropped since "Who Is Jill Scott?" came on the scene. But if you don't have the time to dig through those other 4 albums of hers, check of my best of Jill mix and you'll mos def see why in my eyes, Jill and not Nutter is the REAL mayor of Philly!